We are excited to offer this giveaway of Fantastic Four out on Blu-ray and DVD December 22h! The FANTASTIC FOUR make a triumphant return with MARVEL’s next generation of heroes — four young outsiders who teleport to an alternate universe, their physical forms altered in shocking ways. Their lives changed forever, Reed Richards (“MR. FANTASTIC”), Sue Storm (“INVISIBLE WOMAN”), Johnny Storm (“THE HUMAN TORCH”) and Ben Grimm (“THE THING”) must harness their incredible new powers and work together to save Earth from a former friend turned enemy, the infamous DR. DOOM. Can’t wait for our giveaway? Click here to purchase a copy or view on demand using our Amazon Affiliate Link. We are excited to offer this giveaway of Maze Runner The Scorch Trials out on Blu-ray and DVD December 15th! The Maze was just the beginning. After the harrowing adventure of escaping the maze, the Gladers find themselves right in the center of an epic mystery in MAZE RUNNER: THE SCORCH TRIALS. There’s more action, more excitement and more spectacular effects in this thrilling new chapter of the epic Maze Runner saga by James Dashner. Join us Saturday, December 12th at 5 pm PST for a live screening party on Twitter as we celebrate the upcoming DVD release with author James Dashner. We’ve laid in our extreme snacks including Zombie Jerky, Gushers and Hot Cheetos for a smoking’ hot time on a cold winter’s night. Light a fire of your own and Tweet along with us! Get ready to ring in the holiday season as Twentieth Century Fox Home Entertainment celebrates the 25th anniversary of the biggest live-action comedy of all time with HOME ALONE: ULTIMATE COLLECTOR’S EDITION on Blu-ray and DVD October 6. 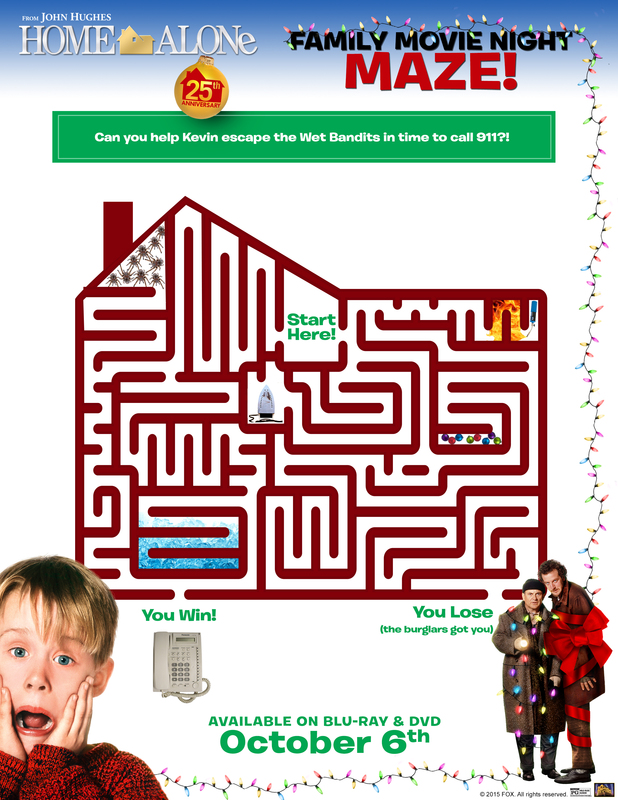 This must have gift set features all five films packaged together for the first time in a collectible paint can full of limited edition movie memorabilia that will keep the whole family laughing including a McCallister Christmas ornament, Kevin’s battle plan for the Wet Bandits, his tarantula and a wanted poster of the thieves – Harry (Joe Pesci) and Marv (Daniel Stern) – and more. 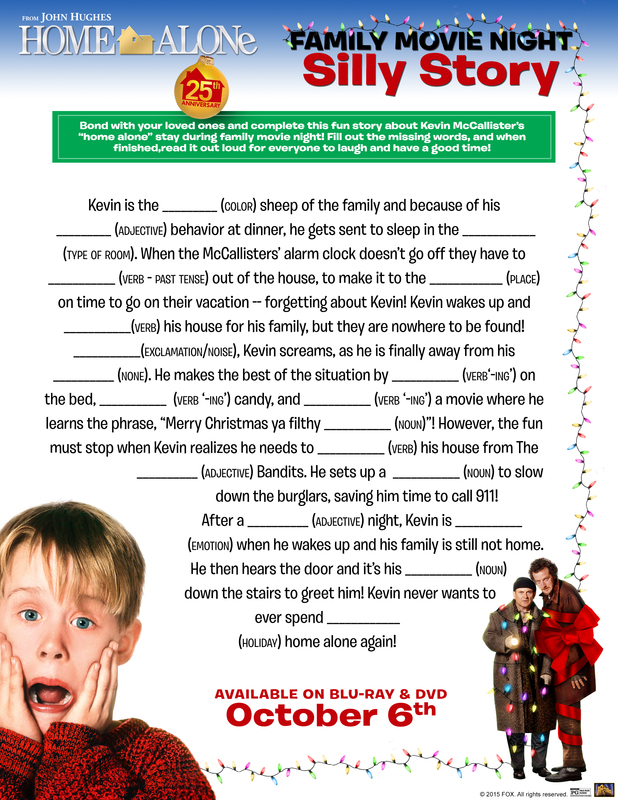 Enjoy these exclusive printable activity sheets and start planning your very own holiday movie marathon! Can’t wait for our giveaway? Click here to purchase the collector’s edition or a copy of your favorite Home Alone movie using our Amazon Affiliate Link. 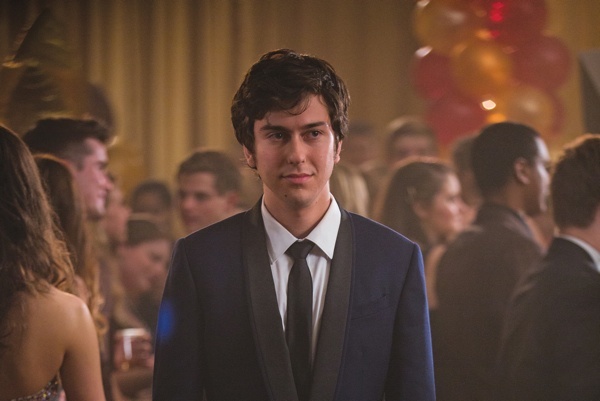 Here are some movie stills to remind you how much fun they are to watch. We all love Kevin (Macaulay Culkin) and his holiday adventures protecting the homestead while his family travels without him in the ultimate parental whoops! If you haven’t seen it already, it’s time! I’m looking forward to sharing the Home Alone collection with my family to kick off the holiday season with hot cocoa and a cookie baking session! 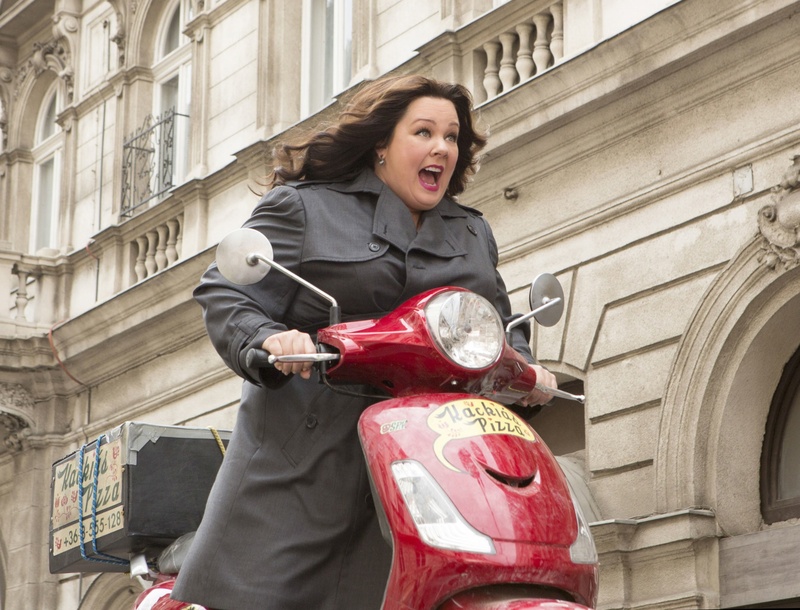 We are excited to offer this giveaway of Spy, starring Melissa McCarthy and Jude Law, out on Blu-ray and DVD today! We just got our copy and can’t wait to watch the ensuing antics in this R rated comedy. We’ll post a review after we have a chance to screen this, but in the meantime, here are some preview pics from the flick. These pictures already have me laughing! How about you? Can’t wait for our giveaway? Click here to purchase a copy or view on demand using our Amazon Affiliate Link. 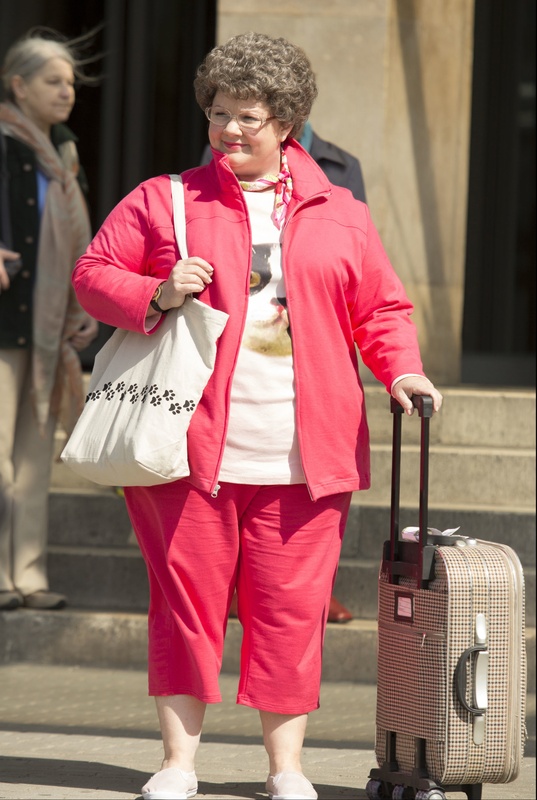 Melissa McCarthy is Susan Cooper, a CIA analyst, who volunteers to go deep undercover to infiltrate the world of a deadly arms dealer, and prevent a global disaster. Susan Cooper (Melissa McCarthy) races to stop a deadly arms dealer. 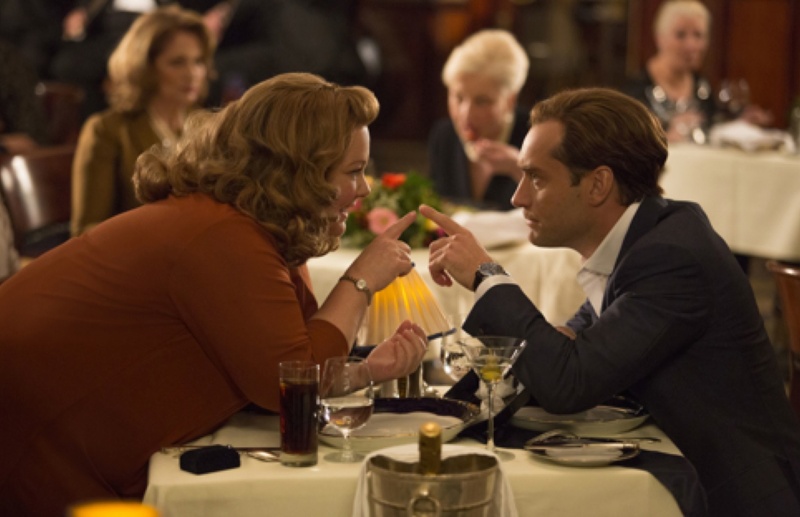 Susan Cooper (Melissa McCarthy) clearly has eyes for her partner, superspy Bradley Fine (Jude Law). Melissa McCarthy faces off against a knife-wielding adversary (Nargis Fakhri). Modern Family The Complete Sixth Season; We’re Giving It Away! DVD giveaway from Fox Home Entertainment, right here on EncinoMom! Thanks to Fox for this awesome giveaway. We love Modern Family! The Pritchetts and Dunphys make the Keatings laugh out loud. If you can relate, enter to win your very own copy of season six available now on Blu-ray and DVD. Enter to win three disc set containing all 24 season 6 episodes. The laughs — and the awards — just keep on coming “Modern Family,” Back-To-Back 5-Time Emmy® Award Winner for Outstanding Comedy Series has just released season 6! Milestone moments from season 6 here: modern-family-s-milestone-moments-of-season-6 View new episodes on ABC Wednesdays at 9 pm / 8 pm Central Time.